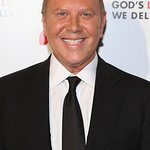 Internationally renowned fashion designer Michael Kors has been named a Global Ambassador Against Hunger for the United Nations World Food Programme (WFP). A tireless advocate for the world’s disadvantaged, Kors will use his position to continue raising awareness of WFP’s work to build a world with Zero Hunger. Even before becoming an ambassador, Michael Kors has been an active supporter of WFP’s advocacy and fundraising efforts across media platforms and in his stores as a corporate partner through the Watch Hunger Stop campaign. Launched in 2013, Watch Hunger Stop has been raising awareness and funds for WFP’s School Meals programmes by designing and selling limited edition and special-edition Michael Kors watches, with US$25 of each sale going to children in need. Additionally, Michael Kors has used his powerful voice on social media to garner support for WFP’s most urgent emergency operations targeting those affected by Typhoon Haiyan in the Philippines, the Nepal earthquake and Syrian refugees. Since its inception, Watch Hunger Stop has helped deliver over 10 million meals to school children throughout the world. Michael has been a long-time champion in the fight against hunger. Since the 1980s, he has worked with God’s Love We Deliver to provide nutritious meals to New Yorkers who are too sick to shop or cook for themselves. The Ambassadorship with WFP extends his commitment to support hungry communities on a global scale. Kors joins a special group of WFP Ambassadors that includes sporting legends such as the Olympic marathon runner Paul Tergat, footballer Kaka; media celebrities such as Vogue Italia Editor-in-Chief Franca Sozzani; platinum-selling musical artists Christina Aguilera and Sami Yusuf; football coach José Mourinho; U.S. philanthropist Howard G. Buffett; and actresses Hend Sabry and Drew Barrymore.